As big of a Wild Turkey fan as I am, I can’t explain why I’ve never tried Russell’s Reserve until now. I know, I know. There’s no excuse. Russell’s Reserve the premium brand from the Wild Turkey Distillery. There’s a 10-year-old bourbon (which I’m writing about in this article), a single barrel bourbon, a six-year-old rye whiskey, and a single barrel rye whiskey. 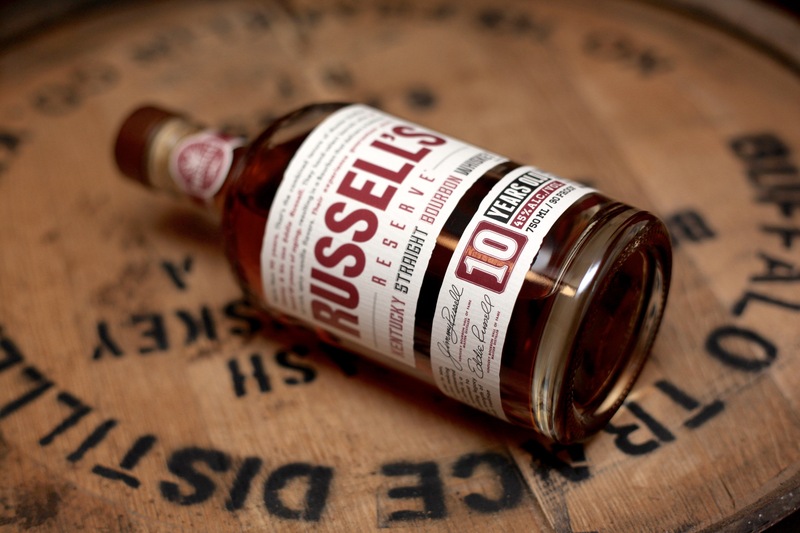 The Russell in Russell’s Reserve refers to the two master distillers, Jimmy and his son Eddie Russell. Jimmy’s been in the business for more than 60 years. Eddie recently celebrated 35 years in the whiskey business. I had the pleasure of meeting both bourbon legends at Tales of the Cocktail aboard the Wild Turkey bus. It was an amazing experience and you want, you can read about it here. Russell’s Reserve 10-year-old bourbon is one of the few whiskies coming out of the Wild Turkey distillery with an age statement. It’s a small batch bourbon, which just means there are less barrels blended in a batch of Russell’s Reserve compared to a batch of Wild Turkey. Remember, the term “small batch” has no official meaning. One thing I love about Wild Turkey 101 is the high proof. It elevates the spicy profile of that bourbon beautifully. I try my best not to judge a whiskey before I try it. I really do. But when I saw the lower-than-expected 90 proof on this label I inadvertently formed a slightly negative opinion. “Where’s the 101 proof?” I asked. See, Wild Turkey 81 tastes like a watered down, neutered version of Wild Turkey 101. It has no bite. My mind sort of went to that line of thinking when I read the label for Russell’s Reserve 10-year. Boy was I wrong. Ten years in a barrel is pure magic for this bourbon. The nose is rich and spicy, providing waves of cooked vanilla bean and light brown sugar. Hints of anise, toasted rye bread and oak round out the aromatic nose. The palate is equally inviting, with a fuller-than-expected mouthfeel. Big bourbon caramel and vanilla notes are present. However, it’s not as sweet as a standard bourbon, and that’s due to the high rye content in the mash bill. Cardamom and dried herbs give way to nutmeg, cinnamon sticks and oak. The medium finish leaves a refreshing mint note. Russell’s Reserve 10-year is a very enjoyable bourbon. It has loads of flavor and a beautiful nose, but something is missing here. The “bite” I associate with Wild Turkey bourbon isn’t really found here. Instead it’s one of the smoother bourbons coming from the Wild Turkey distillery. I assume lots of people like that word when describing a whiskey, as it’s found in just about every bourbon advertisement I come across. Personally, I want the bourbon coming from the Wild Turkey Distillery to have “bite” and it’s slightly lacking here. Don’t conflate “bite” with character. This bourbon has plenty of that. 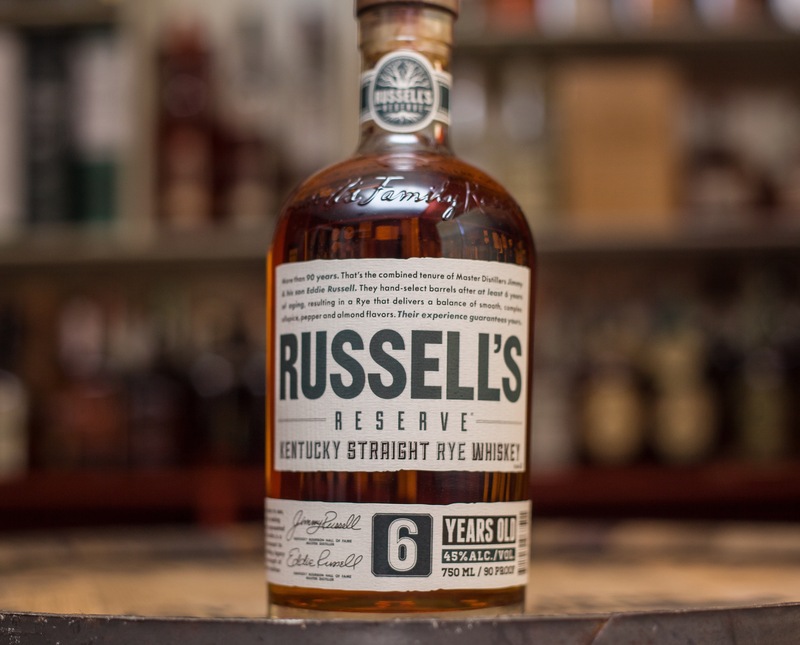 Russell’s Reserve is a well-rounded, thoroughly flavorful bourbon that should please just about anybody who drinks it.